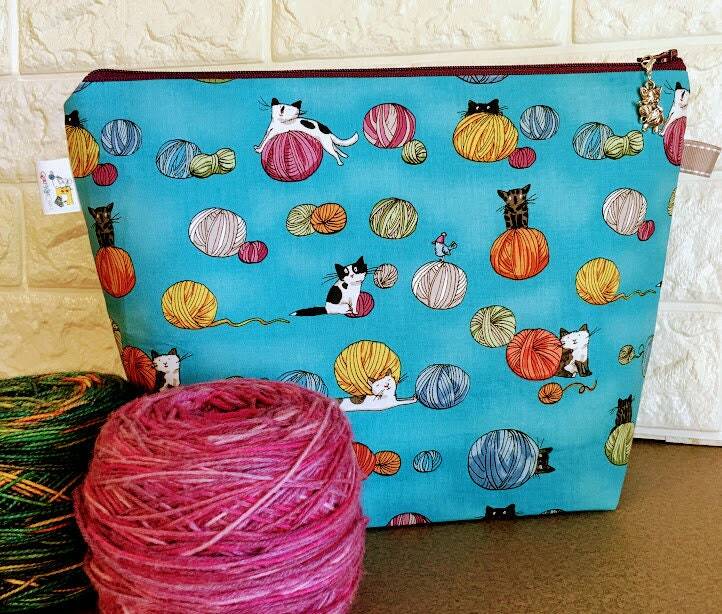 Fun zippered medium size knitting project bag. 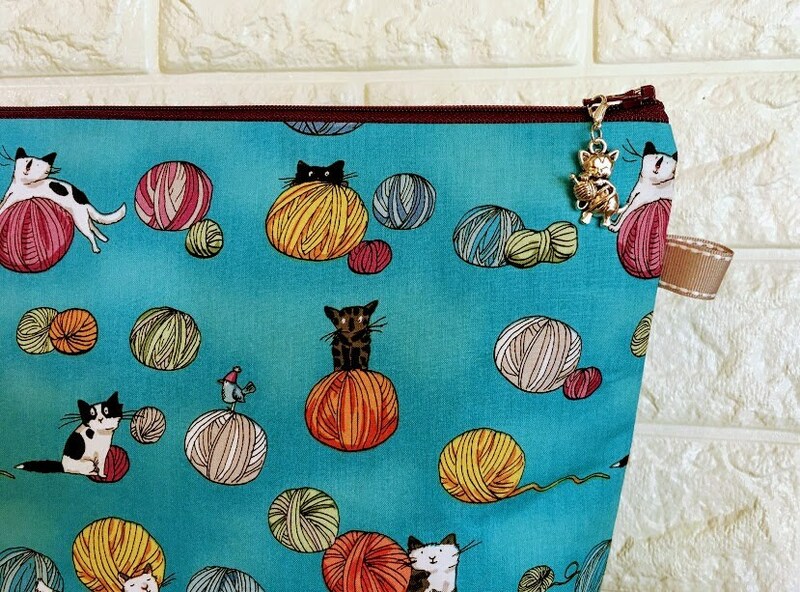 This bag is great for all your knitting or crochet projects. It is decorated with cats and yarn balls. 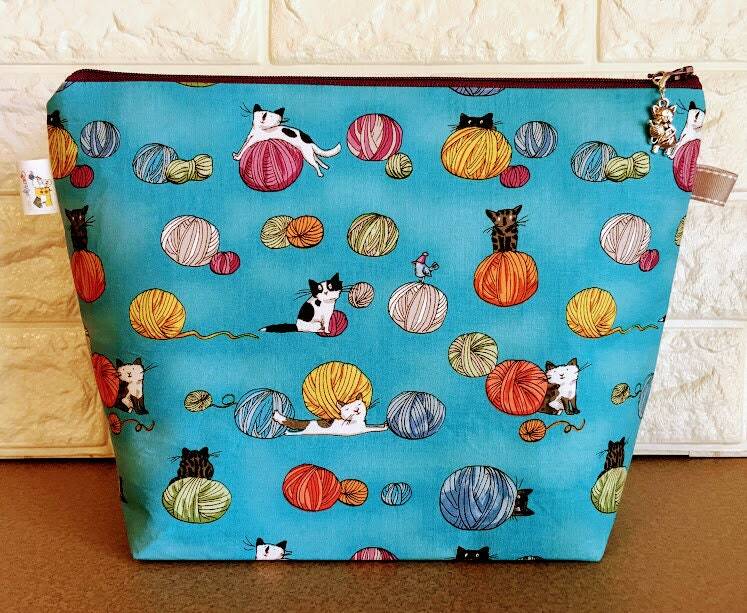 This is a beautiful bag that has interfacing and a lining with a flat bottom. It comes with a cute little progress keeper. It doesn't have any pockets. Also there were some stitch markers included. very well made...highly recommend! Transaction was smooth and seamless. 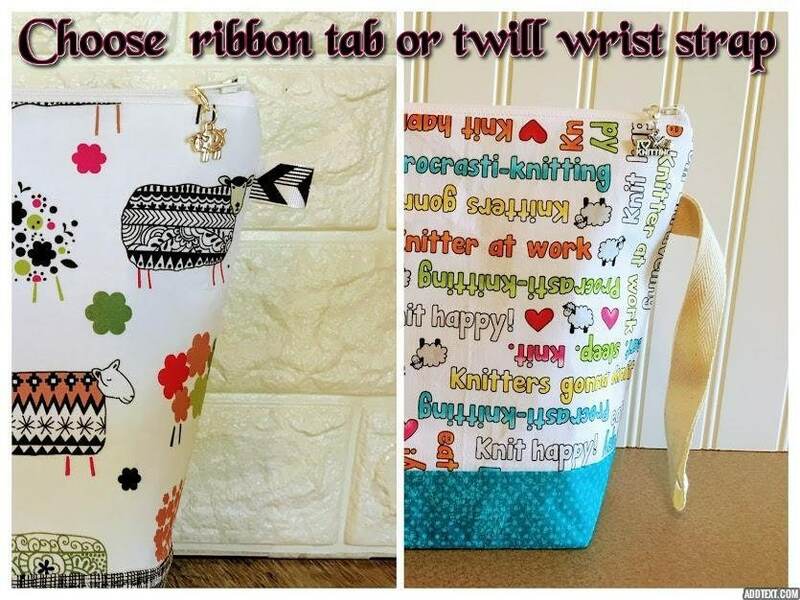 Fantastic project bags! Purchased with intentions of gift giving, going to be really hard letting this go. Speedy shipping! These bags are definately worth the purchase, I'll be shopping here again. And just realized I mixed my photos up with bags, but you get the idea. Perfect size, love to he print! 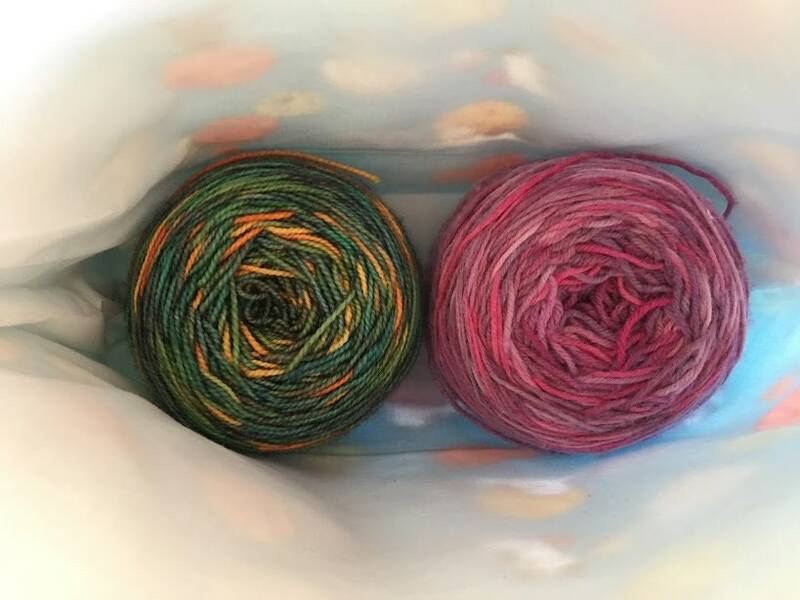 Great project bag!